Following on from successful sales in Woking and Exmouth, Carterwood have sold their third development site on behalf of Methodist Homes (MHA). 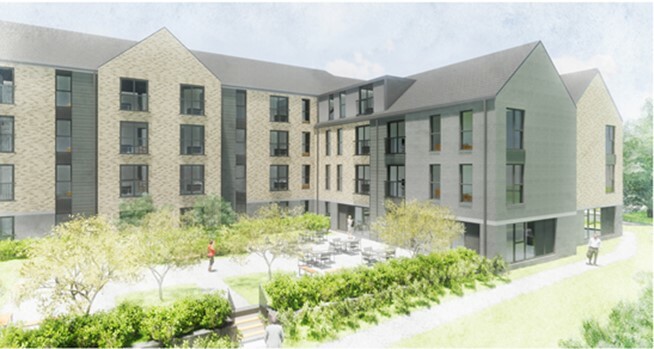 The site is located in the picturesque coastal town of Freshwater on the Isle of Wight and benefits from planning permission for a retirement living development of 75-Extra Care apartments, which Morgan Ashley Care Developments will now develop on behalf of Funding Affordable Homes. The completed homes will be managed by Southern Housing Group who will provide housing management and care services. Matthew Drysdale concluded “In achieving a hat trick of development sales for MHA for three different purchasers in three different regions and three very different markets, we are seeing evidence of both the appetite and diversity of operators in the older people’s housing sector, which is encouraging for the growth of the sector. For information about Carterwood’s services and approach, please telephone 08458 690777, email info@carterwood.co.uk or go to www.carterwood.co.uk.